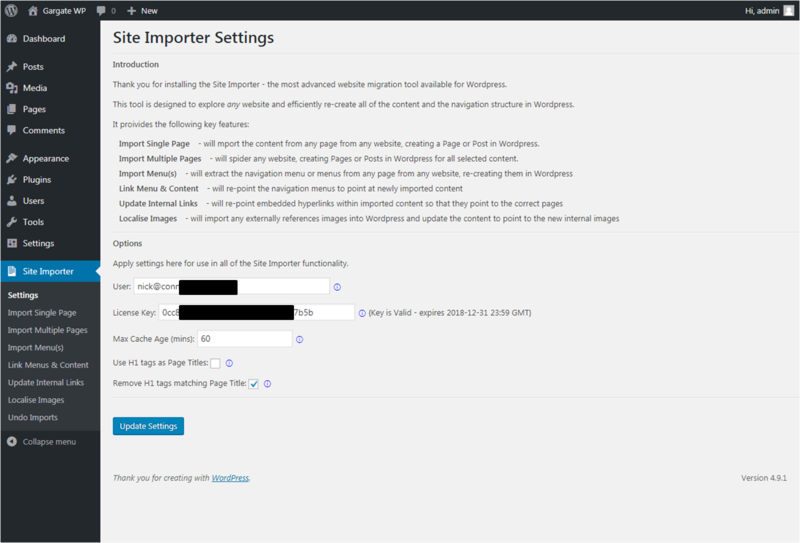 The WP Site Importer plugin for WordPress is a feature rich tool for quickly and efficiently importing content, from any website, into WordPress. This means that you can build a fully working WordPress website, based on another site’s content and structure, very quickly. Using the plugin is intuitive and the menus options are laid out in the order you will most likely wish to proceed.